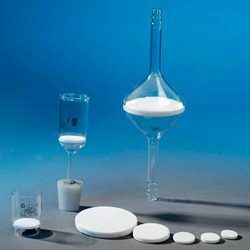 Today, we are considered as one of the reputed companies that manufacture and export an exquisite range of Sintered Lab Glassware & Micro filtration Assemblies Lab Glass wares all across the globe. 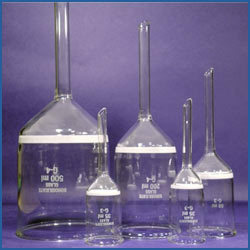 These glass wares are excellent in performing various chemical reactions. Due to temperature fluctuation it does not crack or break and is well designed as per the international standards. We are one of the prime companies that export and manufacture a wide range of Pipeline Filter (Double Drawn) . These are well designed by the expert engineers and skilled professionals of the team. Our products are easy to use and maintain and are available at various sizes, models and capacities. We are a leading supplier and manufacturer of JUMBO Micro Filteration Assembly. With our knowledge, we manufacture and export a quality range of Sintered Buchner Funnel all across the world. Made up of high quality raw material these are quality tested at every step of production. These are available in different porosity for the filtration of multiple substances. We are offering these funnels with cone as well as Vacuum connection. Being one of the well known firms, we export and manufacture a quality range of Solvent Filtration Kit all around the world. 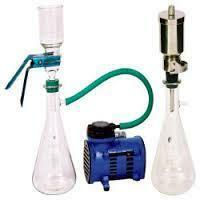 This is an excellent method for filtering hplc solvents as well as general filtration. We offer a complete kit that includes glass membrane filter holder, borosilicate glass, vacuum pump and silicon rubber tubing with various specifications. Our organization is one of the leading organizations that manufacture and export a wide range of Sintered Crucibles all around the world. These are available in different forms like gooch type, Low Form, with sintered Disc. The crucible is offered in various capacities as well as porosity. All these products are technically advanced and are highly appreciated by our clients. 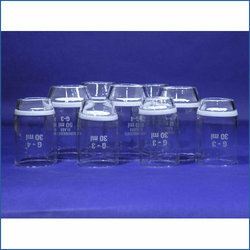 Looking for Sintered Lab Glassware ?